Divine miracles are fueled by Favor, a measure of the cleric’s divine standing with their pantheon. A cleric’s maximum Favor is increased as they level up and also by their WIS modifier. A 1st-level cleric has a base Favor of 0, but with a WIS of +1 would have a maximum Favor of 1. Favor fuels divine miracles. Whenever a miracle requires Favor, you spend one point from your total. One Favor is restored to the cleric every day, at what time of day is subject to the deity worshiped and is called Observance. To regain more Favor quickly, a cleric must perform a Communion. Divine miracles are divided into spheres. All clerics are bestowed the spheres of Divination and Healing, but each deity has their own sphere that only their dedicated clerics can cast miracles from. Divine spheres of magic have seven levels of power. A cleric cannot cast miracles higher than their experience level. For example, a 3rd-level cleric can use 1st-, 2nd-, and 3rd-level miracles but cannot access miracles of 4th-level or higher. Divine Power is equal to the cleric's HD plus their WIS modifier. Several miracles also rely on this Divine Power to work effectively. Most Sacraments and some Miracles require a Spell Check, this is done by rolling 2d6 and adding the cleric's Divine Power. All deities have a specific time of day when their clerics are renewed and refreshed, this is called Observance. Clerics receive 1 point of Favor, and all of their day-long miracles expire at this time. Clerics who have Sinned do not have their Favor renewed, and any active miracles also end at this time. All deities have a collection of 3 to 5 commandments that a cleric must adhere to. If they break one of these commandments, or fail to perform it when the opportunity arises, they Sin against their deity and lose all access to Divine Powers until they Atone. When a cleric casts a Miracle, they spend 1 or more points of Favor. Some Miracles require a Spell Check when there is some chance that another person could resist the Miracle. Sacraments are Divine powers similar to Miracles that all clerics have access to. These include Atonement, Blessing, Bolster, Communion, Sanctify, and Turning. Sacraments can be performed by any cleric that has at least 1 or more points of Favor. However, Sacraments require a Spell Check and if the result is 10 or higher then the Sacrament doesn't cost Favor. If a cleric has zero Favor and they perform a Sacrament, all deities consider that a Sin. Some Sacraments will activate Favor costs, and if the cleric has no Favor to draw upon then they have Sinned twice! In both cases, the Sacrament is performed but the cleric has Sinned. This Sacrament can be invoked for a cleric who has Sinned and must restore their deity's Favor. If the cleric seeking Atonement committed the Sin by accident or via magical compulsion, the Atonement can be performed by the cleric in question. However, for clerics atoning for deliberate and willful Sins, an Atonement must be invoked by another cleric of the same faith. The Atonement is unique, and should be tailored to the Sin committed. Many times this requires the atoning cleric to fulfill a quest for their deity, but the deity may call for a sacrifice of some kind in place of a quest. This Sacrament takes 1 hour to perform and must be invoked within a Sanctified space. A Blessing is bestowed upon another person or creature (never the cleric themself) or upon a vial of water no larger than 1 pint. Blessings take one minute to perform (or 10 combat rounds), and the cleric can take no other action while the Blessing is made - no movement and no defending. Performing a Blessing upon an NPC grants them a +1 bonus to Armor and Attack scores. Performing a Blessing upon a PC grants the player a bonus 1d4 which they have until the cleric's next Observance. This bonus 1d4 can be used at any time before or after a roll. It can be used with a Saving Throw, Reaction check, Surprise check, Skill check, Attack roll, Armor roll, or damage roll. The character can only have one Blessing at a time, and if the character Sins, as defined by the deity's commandments, then they lose the Blessing immediately. While a PC has an active Blessing, all of their followers and any hired retainers have +1 to Morale. Performing a Blessing upon a vial of water makes Holy Water. This is permanent but always requires a point of Favor, no Spell Check is rolled. Otherwise, and in general, Blessings last until the cleric's next Observance. Holy Water can be used to store a single Divine Power, either a Sacrament or a Miracle, which is activated when drunk. The person or creature that drinks the Holy Water becomes the target of the spell. The spell must be cast into the Holy Water after it is made. Holy Water also causes 2d4 damage to Un-dead or Demon creatures. Clerics can bolster their own health by spending 10 minutes kneeling and praying with both hands on their holy symbol. A cleric cannot move or take any other actions while Bolstering. At the end of this prayer, the cleric recovers Hit Points equal to their HD plus CON modifier (same as a Rest). This Sacrament has multiple functions. The most common use is to provide funeral rites for a deceased person or creature. At the completion of the Communion, the body cannot be raised as Un-dead. Communion is also used to bring new clerics into the service of the deity. At the end of the Communion, the character abandons their old class and becomes a cleric. Any PC wishing to undergo this change becomes dual-classed. Finally, a cleric may wish to seek guidance or counsel directly from their deity, and Communion also allows them to do this. At the conclusion, the cleric can ask questions that can be answered with a simple yes or no, or one-word answer. The cleric can ask a number of such questions equal to their Hit Dice. Answers given are correct within the limits of the deity’s knowledge. In cases where a yes-no answer would be misleading or contrary to the deity’s interests, a short phrase (five words or less) may be given as an answer instead. Communion takes 2 hours to perform and requires a Sanctified space. This Sacrament allows a cleric to create a holy space, suitable for other Sacraments. Typically, Sanctify is performed at a cleric's time of Observance as the holy space created by Sanctify expires at that time. If a cleric spends 5 Favor while performing Sanctify, the space continues to remain Sanctified for as long as the cleric lives. A Sanctified space is very beneficial for clerics in service to the same deity, allowing Miracles to be performed at +1 Power and bestowing a +1 bonus to reaction checks. 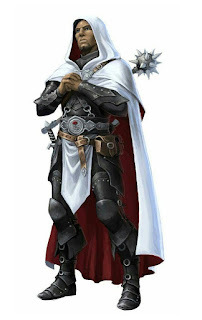 Un-dead and Demons whose HD is equal or less than the performing cleric's Divine Power cannot enter the Sanctified space, and if they manage to make it inside their Attack, Armor, and Morale are all reduced by the cleric's Divine Power. Also, clerics within Sanctified spaces have Advantage while attempting to Turn such creatures. While they remain inside the Sanctified space, clerics in service to the same deity can see when another person within the Sanctified space is cursed, charmed, poisoned, or under the effects of a Geas, no roll or Miracle is required. Sanctified spaces are required for Atonements and Communions. Clerics can Turn wild beasts and unholy creatures by holding their deity's holy symbol aloft and commanding the creatures back. This is the only Sacrament that never costs Favor to use! At any time the cleric may use an action to make a Turning attempt. Clerics can attempt to Turn any creature with the Animal, Un-dead, or Demon trait. This Turning check uses 2d6 and adds their Divine Power. Unlike a Spell Check, this roll doesn't suffer penalties for wearing armor. The base roll needed is 8 or higher to turn Animals, 10 or higher to turn Un-dead, and a 12 or higher to turn Demons. The HD of the target is added to the number needed to successfully Turn them. For example, a Demon with 3 Hit Dice will only be Turned on a roll of 15 or higher. Animals and Un-dead that are successfully Turned will try to flee from the cleric until the cleric is out of sight. If cornered or trapped, the Turning ends and the creature will likely attack the nearest opponent. Demons that are successfully Turned are not compelled to flee, but cannot willingly approach the cleric. If forced to approach the cleric, or cornered by the cleric, the Turning ends and the Demon may act as it pleases. An attempt to Turn a creature that has already broken free from being Turned will automatically fail. Failing a Turning attempt doesn't count as breaking free from being Turned, and the cleric may attempt to Turn a creature (or creatures) as many times as they wish. The cleric names something to detect. This could be poison, disease, gold, food, magic, un-dead, life, heat, etc. Anything that could be defined as a substance, whether it is a material or energy (illness, disease, or secret doors could be detected, but deception, emotions, or "evil" could not). The cleric can sense the presence of this chosen substance if it is Nearby even through walls or barriers, as long as they are not magically concealed. The cleric detects it as a glowing aura. This Miracle lasts for as long as the cleric concentrates on it. The cleric is gifted with a supernatural sense of what is about to happen for certain situations of their choosing. The cleric rolls dice equal to their maximum Favor - they can be of any size. Until their next Observance, the cleric can use these dice rolls to replace any rolls of the same size dice. For example, a cleric casts Augury and rolls 2d20, these results can be used later to replace rolls that used d20s but wouldn't be usable for rolls made with d4s, d6s, etc. The cleric can read the surface thoughts of creatures as if they were clearly visible signs. The cleric can only Read Minds of creatures with Hit Dice equal to or less than the cleric's Spell Check. This Miracle lasts for as long as the cleric concentrates on it. The cleric can see and hear at a location they have already visited. The ability to see and hear in this location is limited to whatever the cleric's former movements were (if the cleric had only walked around the western steps of an arena then their Clairvoyance is limited to that area of the arena). For Clairvoyance to work the location must be within a certain range of the cleric equal to their Divine Power in miles. Anyone trying to detect magic or living beings will see the luminous form of the cleric using Clairvoyance. This Miracle lasts for as long as the cleric concentrates on it. The cleric describes or names a specific kind of animal, plant, person, or object that is familiar to them, and the cleric becomes aware of how far away and which direction they are in. If the subject of their Espy is moving, the cleric is aware of the speed and direction of movement as well. For Espy to work the subject must be within a certain range of the cleric equal to their Divine Power in miles. This Miracle lasts for as long as the cleric concentrates on it. The cleric names or describes a person, place, or object and a brief summary of significant lore is brought to the cleric's mind about the thing named. The lore might consist of current legends, forgotten stories, or even secret lore that has been destroyed or concealed. If the thing named is of no importance, then the cleric may learn nothing. The lore learned is always accurate but may be framed in obscure language ("the wraiths resist their descent into darkness and persevere along an honorable path" or "only a child of light may awaken the true power of the axe"). Until their next Observance, the cleric, or another creature they touch, gains the ability to see all things as they actually are. Anything concealed or hidden with magic and the true forms of polymorphed creatures are revealed, illusions appear as obvious outlines of what they are. True Sight doesn't penetrate solid matter, and won't reveal things hidden by mundane means such as cover of fog, disguises, someone hiding in shadows, or a secret door that is concealed through nonmagical means. The cleric touches a subject, not themself, and instantly heals them of hit point damage. The amount healed is equal to their WIS modifier multiplied by their HD. 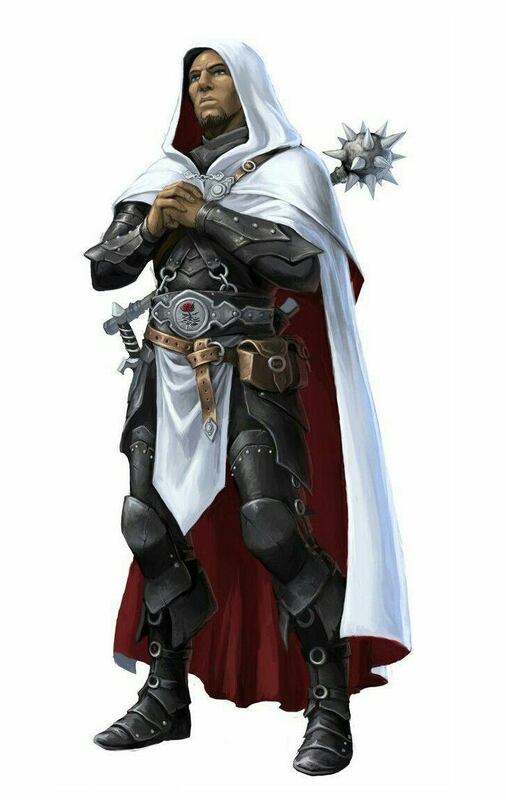 The cleric touches a subject, not themself, and until the cleric's next Observance the subject has advantage on all death saving throws and drain attacks. While this Miracle is active the subject, whether they died while the Miracle was active or were dead when the Miracle was bestowed upon them, cannot be raised as an Un-dead - this effect is permanent. 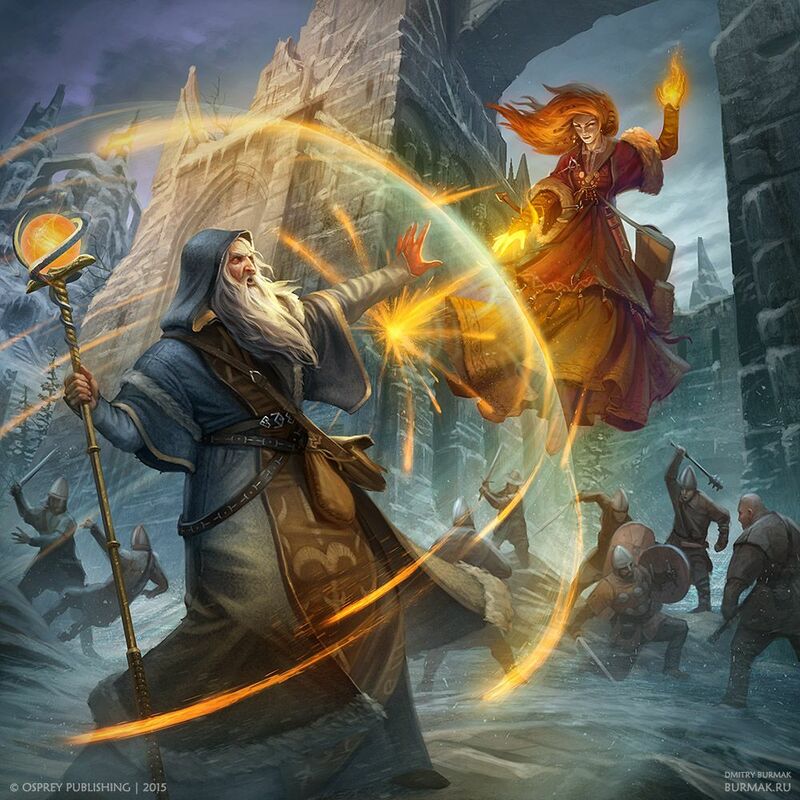 The cleric forms a circle with their subjects, usually a ring of hands, and instantly heals those in the circle of hit point damage equal to the cleric's Divine Power. This miracle will only affect a number of people equal to the cleric's maximum Favor, and attempting to heal more than that won't work - and is a Sin. The cleric touches a subject, not themself, and instantly heals them of illness, disease, poison, or impairment. If the subject is blind, deaf, crippled, or missing a limb, this miracle restores their vision, hearing, or abilities. The cleric touches a subject, not themself, and instantly heals them of drained Hit Dice, ability score damage, and any curses affecting them are also removed. If the subject is under the effect of a Geas or magical compulsion, this miracle also removes those. The cleric touches a subject, not themself, to instantly heal someone of all damage. The subject recovers their maximum total hit points, and if any diseases or poisons are present those are also removed. Upon performing the Miracle, the subject is restored to life as if their death never occurred but in a weakened condition. The subject must have died recently, within a number days equal to or less than the cleric's Divine Power. The subject's body must also be whole with their heart and brain intact. All of the subject's ability scores are at -1 and they must Rest to recover them, magical healing will not restore this loss. The cleric permanently sacrifices a point of Favor to perform this miracle. Using this miracle on an enemy of the cleric's faith, or a body that doesn't have an intact and connected heart and brain, fails outright and is also a Sin. Illusions have a special kind of resistance. When a person or creature overcomes the effect of an illusion, it does not Misfire. A Misfire can only occur when the illusion is first cast, but creatures can "see through" the illusion later. When a PC is first confronted with an illusion, they must make a Saving Throw to see through the illusion. The Saving Throw uses an ability based upon the kind of illusion they see, and this requires GM judgement. The illusion of a collapsing ceiling might use Constitution, but whenever in doubt about which ability to use the default is Intelligence. If another character tries to assist a PC in seeing through an illusion the PC may add a +4 to their Saving Throw, but only if this is communicated effectively. Often players will deduce when something in the game world is an illusion, even when their characters fail their Saving Throws. Remind yourself, and them, that this is an ideal time to role-play as if the illusion were real. NPCs who view illusions only see through them if their Hit Dice exceeds the Spell Power of the illusion. Another character could try to get an NPC to see through an illusion. If this happens, add the character's Hit Dice to the NPC's Hit Dice. If the combined total doesn't equal or exceed the Spell Power then the NPC can't see through the illusion and may believe the character is affected by their own magical illusion, delusion, or mental illness. 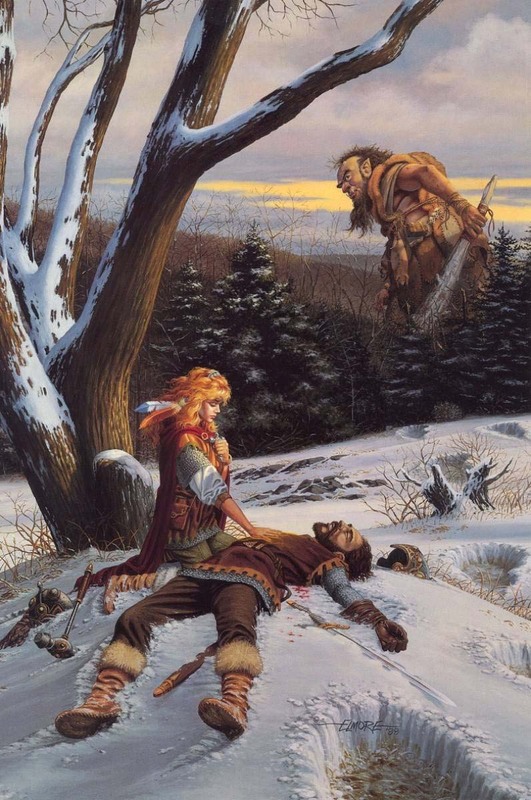 Illusions that "kill" characters put them into a trance-like coma that only ends when the spell ends, or the magic affect on their body and mind is dispelled. 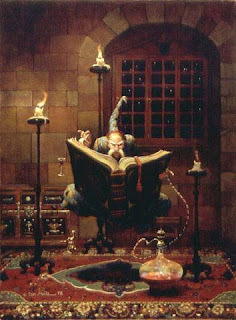 Illusionary attacks and affects always use the creating wizard's Abilities and Skills to determine their effectiveness. Thus, a wizard who has created an illusionary minotaur to fight a group of goblins uses his own Attack and Armor scores when determining how well the illusion fights. Un-dead are immune to all illusions and their effects. Some creatures, especially Demons, have natural resistances as well. In general, illusions with Power high enough to affect them will modify the behavior of NPCs and monsters. I don't know if I'm taking the "bite" out of illusions by ruling it this way. Illusions were definitely more prominent in 1st edition AD&D, but I think they required a lot more arbitration on the GM's part. I might have to write guidelines for how illusions work, but for now the comparing of Hit Dice will have to do. This tower sits like a teetering stack of broken bricks on Hush Island, which has no bridges to cross to or docks to park boats. The tower juts out of the mouth of the Crowkut River in Marakāven, a thoroughfare which splits the city into northern and southern sections. Despite its central position in the river, captains and sailors give the island a wide berth. Nobody knows who the wizard was that built it and presumably lived there, but everyone assumes it was a wizard because the tower is infamous for swallowing up anyone who dares to explore the structure and never regurgitating them back out into the world. A few brave explorers have set foot on the island itself, but anyone who steps foot into the building is always lost. For this reason, Bellhaven's courts do not have a death penalty but instead sentence the most loathsome of criminals to enter the Ghost Tower. When a wizard wants to learn a new spell, they must first find the spell they want to learn, then spend several hours studying the arcane formula. The level of a spell is the number of hours a wizard must spend in secluded study with the formula, and this level also represents how difficult it is to learn. At the end of their study, the wizard rolls 2d6 and adds their HD and INT modifier to the roll. If the result is 10 plus the level of the spell or higher, they learn the spell. If they fail to learn the spell, they can try again after leveling up. This was something I looked forward to and simultaneously dreaded when I played wizards in 2nd edition AD&D: rolling to learn new spells. In this system, higher level spells are more difficult to learn, but accomplished wizards learn lower spells more easily. I like the idea that wizards have to study to learn their spells, even if I don't like the Vancian style of daily studying. When characters spend at least 6 hours without strenuous activity of any kind (walking, fighting, casting spells, etc.) they recover Hit Points equal to their level + CON. Recovered Hit Points can be reduced by a negative CON modifier, but characters always heal at least 1 Hit Point. This recuperative period is a Rest, and is often used for sleeping, especially in dungeons. Characters cannot receive Hit Point recovery from more than two Rests in a single 24-hour period. Each Rest must be a continuous six hours. It can be interrupted briefly, but must be returned to immediately for the Rest to take affect. After a Rest, wizards also recover Magic Points equal to their level + INT. Unlike Hit Points, a wizard can recover Magic Points from multiple Rests in one 24-hour period. Ability scores are sometimes lowered from traumatic injury or through arcane sacrifice. These lost points can be restored at a rate of 1 point per day, except three Rests during the course of the day are required. Some ability score losses cannot be recovered except through magical means. Another of my attempts at simplifying something that is often complex, or turns complex in play. I wanted to codify exactly how long PCs need to rest to recover, and I wanted that period to be defined in regards to hit point and ability score recovery. The way magic points work hasn't been playtested yet, so this description might change in the future. Zaos might have been the first god, nobody is sure if the brittle parchments etched with the name are true accounts of a divine being or if they were forgeries meant to mislead seekers into misadventure and folly. Nobody is even sure if Zaos is male or female. Dragons call Zaos the first primordial serpent, elves refuse to utter his name for fear of drawing his attention, and dwarves laugh that Zaos is a clever myth designed to reveal the treachery of magic. The truth is Zaos is a god of time and space, it doesn't matter if Zaos was here first because he/she/they are everywhere. Zaos has plans and plots that extend beyond anything the PCs could even imagine. Trying to fight Zaos is pointless, because anything you know about him is what he wants you to know. If you're fighting him, it's because he wants you to fight him, it's part of his plan. He might offer you a deal to give you something you want, but most of the time he's watching and waiting. He does this with mimics. 1) Mimics are his loyal servants. All mimics worship Zaos as their god, for he did create them. If they fulfill their duties, they believe Zaos will embrace them into the folds of time and space in which Zaos lives. 2) Zaos is all mimics, they are physical manifestations of his divine self. Wherever a mimic appears, it is part of Zaos'es sensory apparatus into the plane of reality. 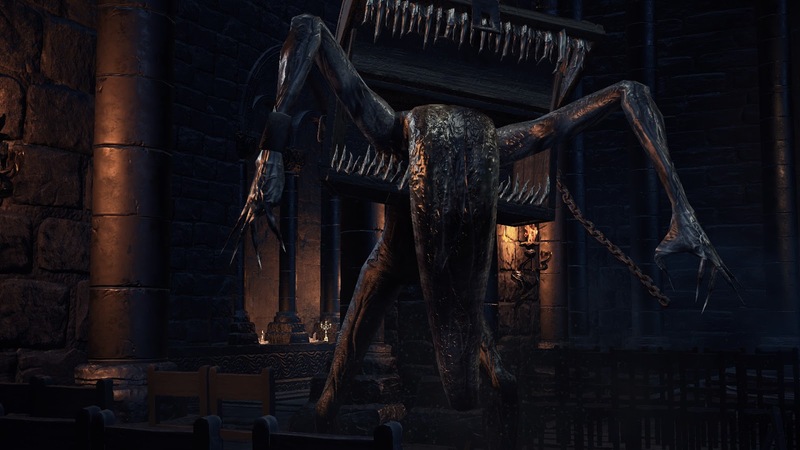 3) Mimics are akin to golems, designed and constructed for a specific purpose. Zaos, in his madness, has made so many mimics for so many contradictory reasons that he has often forgotten what a mimic was for. The ones in our world are the ones he has forgotten about and left behind. 4) Every mimic is a time machine, acting as a bridge between one specific time and place to another, it only requires the right key or password to activate and recognize a servant of Zaos. 1) Knowledge, and also to keep it away from some people. Mimics will appear around wizards and schools of magic. Most of the time they only spy on the arcane arts, but any wizard who attempts to study time or manipulate it through magic will be drawing a target on their own back. Only Zaos can know the secrets of time travel! 2) He's a teacher, fond of challenging his unwilling students. Mimics will appear to test the PCs' ability to find them, the mimics will ambush the PCs when they can. Mimics who are spotted will feign surprise when spotted and try to flee. Lone PCs will find themselves in one-on-one duels with mimics. 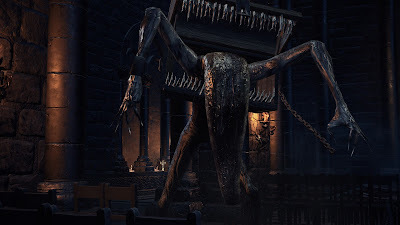 They never kill, but if the PC is defeated the mimic will leave a note on their unconscious body, written in one of the oldest languages, and all it says is "get good." 3) Even he's forgotten. In his struggle to remember he gets bored and distracted easily. He wants to see how far he can push these adventurers around, every chest and container they encounter will be a mimic. Every time a mimic manifests it will giggle and laugh maniacally. Mimics will keep appearing until somebody dies from one, then the final mimic gets sad and weeps before it dies of its own accord. Mimics will never appear for these characters ever again. 4) Endless and perpetual war. He hates the living, for he was the first god and everything that came after is an affront to his existence. He wants to destroy everything and everyone. He's using mimics to try to replace everything in the world, and these damn adventurers and spelunkers keep finding his first experiments. He's going to start branching out, mimic ladders and mimic doors and mimic chairs. Soon after that it will be mimic carriages and mimic fences and mimic chandeliers. He wants the living to fear the world they live in. Once he has perfected mimicry of objects, he'll move onto mimicking animals and then people. The more paranoid he can make the living, the better. We playtested some of the combat and magic yesterday. I've already started to change a few things. The Luck system seems to work adequately, but I'm thinking I made skill checks too difficult. I could probably simplify combat even more as well. Back to the drawing board I think. I'm not sure when I'll get to play again. If characters carry too much weight they can become encumbered. Being encumbered slows you down and limits what you can do. You track this with your Load stat. Everything you might carry or wear has a Weight assigned to it, and if the total Weight exceeds your Load then you are encumbered. While you are encumbered you can only move OR act in a combat round, and outside of combat you only move at half your regular speed. If you travel for more than four hours in a single day while encumbered then you require twice as much water and food. Your Load is 5 plus your STR modifier. The most you can carry and still move is 10 plus your STR. Characters with negative STR carry less! 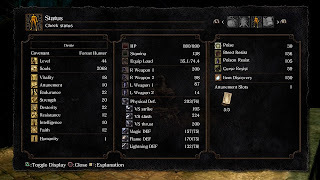 Armor and weapons all have weight, and many items can be stowed with only minimal additions to a character's Load. Worn items, such as cloaks, jewelry, shoes, etc. do not have weight for encumbrance purposes. The GM doesn't track the PCs' Loads, but can call for an audit at any time. Violating encumbrance means you immediately "lost" something along the way. Likewise, not having something written down on your sheet means your character isn't carrying it. This is my attempt at simplifying a system that is often too complex and filled with too many numbers. Load is a term that comes directly from Dungeon World, but a fair bit of inspiration for this came from Lamentations of the Flame Princess as well! Work continues on OSRenstein, which I might end up calling something else. I hate naming things! It's coming along though. I'm at 50 pages, and decided to codify some divine magic things this week. Playtesting begins this Saturday! I should have written this update yesterday, but I've been tired and forgetful. Moreso than usual. I'm training for a commercial driver's license and I failed the road test last Thursday, which means I need to practice a little more and re-test. I find out the new date and time tomorrow. I'm anxious and distracted because I need this license, and I need to go back to working and having income for food, and rent, and paying bills. I've been unemployed for five weeks now, mainly to go to truck driving school, and I can't afford to be unemployed for much longer. If I fail the re-test I'll have to get a job somewhere while I plan to retake the test a third time. Like I said, I'm anxious. get some monsters written up in here! Hopefully I can get most of that done before Saturday. Meanwhile, more excerpts are incoming... or outgoing... expect at least one thing every week. Somebody pointed out this post to me and suggested I should answer the list. Some of these have been covered already, but who cares? Let's go! 1) Ability scores generation method? Roll 3d6 and record the sum result for each Ability in order: Strength, Dexterity, Constitution, Intelligence, Wisdom, and finally Charisma. If none of your rolls is 13 or higher, then raise your lowest roll to 13. You may swap two Ability scores. Notate your Ability score modifiers under STR, DEX, CON, INT, WIS, and CHA. You have two derived stats: Luck and Load. Your Luck score is 2 + your highest Ability score modifier. Your Load is 5/10 + your STR modifier (ex: a +2 STR generates a Load of 7/12). Players also choose a few things for their characters: race, background, class, and class kit. These are all from more extensive lists than I can reproduce here. 2) How are death and dying handled? NPCs reduced to zero Hit Points are either dead or mortally wounded, GM's call. When a PC is reduced to zero Hit Points they fall unconscious and must make a Constitution saving throw or die. Similarly, if a PC suffers more than half their total Hit Points in a single blow they must make a Constitution saving throw or die. 3) What about raising the dead? There are no Raise Dead or Resurrection spells. 4) How are replacement PCs handled? When a character dies, the player can make a new character with half of the XP total of the previous character, round up. 5) Initiative: individual, group, or something else? PCs act before NPCs. If two PCs are fighting each other, then the one with fewer Hit Points acts first - if they're tied then their actions are resolved simultaneously. In combat scenarios with large groups of enemies or a major "boss" villain use a shuffled deck of cards. Each NPC combatant gets a single card draw, and each PC draws a number of cards equal to 1 plus their DEX modifier, minimum of 1 card. Once everyone has their cards, the GM counts down using the card values starting with Ace then King, Queen, Jack, 10, and so on. For tied cards, PC actions happen before NPC actions. Unless PCs are fighting each other, tied actions are simultaneous. Players still only act once, but high-DEX characters get more chances to act earlier in the round. 6) Are there critical hits and fumbles? How do they work? Fumbles, no. Hits, Yes. When a player rolls a result 10 points higher than what they needed to hit with their Attack roll, and when a player rolls a 20 on their Attack roll - the only exception being that when a player needs to roll a 20 to hit, no Critical is possible. 7) Do I get any benefits for wearing a helmet? Helmets are situational to some critical hit effects. Wearing a helmet by itself gives no bonus, but not wearing a helmet with heavy armor reduces your Armor by -1 (because you've given your opponent an exposed target to aim at). EDIT: I changed this in my rules. Helmets give +1 Armor now, with the exception of heavy armors like Plate (described above) because those have helmets. 8) Can I hurt my friends if I fire into melee or do something similarly silly? No fumbles, and as a GM I find this boring, as a player I find it frustrating. No. 9) Will we need to run from some encounters, or will we be able to kill everything? Talking is always preferable to fighting, running is always better than fighting to the death, and some opponents shouldn't be engaged at all. 10) Level-draining monsters: yes or no? Yes, but they drain Hit Dice, not levels. 11) Are there going to be cases where a failed save results in PC death? 12) How strictly are encumbrance & resources tracked? Players are responsible for tracking their gear and Load, but the GM can call for an audit. Anything not written down isn't there. Carrying too much has immediate consequences. 13) What’s required when my PC gains a level? Training? Do I get new spells automatically? Can it happen in the middle of an adventure, or do I have to wait for down time? The PC has to have enough experience points to attain the next level and then conduct a Rest, no strenuous activity for 6 hours. No training costs, though learning to speak or read a language takes time. Learning wizard spells takes time, and the spells need to be "found." Leveling up can happen whenever the character can Rest. 14) What do I get experience for? A successful encounter. The GM determines success but shouldn't obfuscate the conditions of success. An encounter that can't end in combat or hostility should be clearly stated as such. At the end of the session, the GM multiples the number of successful encounters by the number of players present and this is the base XP award. Every time during the session that the GM was impressed, entertained, or genuinely surprised by a PC action should also be tallied and added to this encounter calculation. A session with 4 players and 4 encounters where the GM was surprised or entertained 3 times would be worth 19 XP, or (4x4)+3. 15) How are traps located? Description, dice rolling, or some combination? Any character can potentially find a trap. If a PC is actively looking for one this might require a description of how they're looking to automatically find one, but a Skill Check could be called for if the player or GM is more interested in moving things along. Activating a trap would require a Saving Throw. 16) Are retainers encouraged and how does morale work? Yes, retainers are suggested and followers are given to every class once they reach 9th level. Morale and reaction both are 2d6 rolls, higher rolls are better than low. 17) How do I identify magic items? Wizards can identify magic items at 1st level. They must spend 6 hours with the item without interruption, no spells or material components required. If you don't have a wizard in your group, you may need to hire one! 18) Can I buy magic items? Oh, come on: how about just potions? Potions and scrolls might be the only magic items you could purchase since they do not require a great expenditure of power from their creators. Hedge wizards and sorcerous academies would sell these. More powerful magical items would likely not be sold unless the person didn't know what they had. 19) Can I create magic items? When and how? Any wizard of 5th level or higher can make magic items. The more powerful the item, the more time and money is needed to create the item. At minimum, a wizard can make a 1st level scroll for 25sp after one day of work. Potions take weeks to make, and more powerful magic items take months. 20) What about splitting the party? There are no rules for it, but if you're the player you can have your characters do whatever you want them to. Curses are meant to be horrible, twisted magical effects that imperil a character and steer them toward removing the curse. I don't know how many cartoons I watched and books I read when I was younger where a character was cursed and they did everything in their power to release themselves from the spell. In AD&D, curses have always been lame in comparison. Usually a Curse spell bestows a -1 to hit, not good but pretty minimal in the grand scheme of things. If I'm playing a wizard, I might not even care that I am cursed. Of course, the problem with curses in literature is that they're always unique and they always affect characters in such a way that their life cannot move forward unless they remove the curse. This is difficult to pull off with a gaming group, you would always need to tailor a curse for individual characters, or maybe even players. The other type of literary curse is the one where the cursed character is going to die from the curse. The two stories that come to mind when I hear the word curse involve dying characters: Thinner by Stephen King, and How Spoilers Bleed by Clive Barker. This is easier to pull off. Curses should be debilitating and should hang over the player's head, making them fear the death of their character, and the easiest way to do this is restrict their character's Hit Points. Thus, a Curse reduces a character's maximum Hit Point total to half (round up) and while affected by the Curse the character cannot regain Hit Points from non-magical healing methods. A major Curse might slowly reduce the character's maximum Hit Point total as well! This part of the rules isn't written yet. I just wanted to share this idea before I write it definitively. At the end of the session, multiply the number of players by the number of successful encounters. This is your base Experience Point award total for the session. A successful encounter is one in which you challenge the players' characters. Taking opportunities that you can't possibly foresee doesn't necessarily count as an encounter. For example, spontaneously deciding to assassinate an important NPC isn't a successful encounter but escaping alive from any guards or militia protecting the NPC could count as one. During a game session, keep a tally of all the times a player does something you enjoyed or does something inventive you didn't account for. At the end of the session add this tally to the formula. In this way all characters increase in level at the same pace. The only way a character might go up in level slower than someone else playing in the same group is if they miss a session, or their character joined the group at a lower level. A session with four players and three successful encounters that had two things you liked would be worth 14 XP for everyone playing, or (3 x 4) + 2 = 14. Always be honest with your players about the XP Formula and how you are applying it. If an encounter would only be successful if the characters avoid combat, tell them before you even introduce the encounter otherwise they'll feel cheated in the aftermath. When a character rests, if they have enough XP to reach the next level then they receive all the benefits of the new level. Before 10th level, characters increase their Hit Dice each time they level up. The player rolls their new Hit Dice to determine their new Hit Point total. Their CON is applied for each level of the character. Thus, a 4th level wizard with a +1 CON who has just attained 5th level rolls 5d4+5 to determine their new Hit Point total. If the new total is less than the old, the character can add their CON once to their old HP total. This way a character’s Hit Points always rise when they go up in level. After 9th level, Hit Dice doesn't increase and Hit Points don't always go up - but they still never go down. 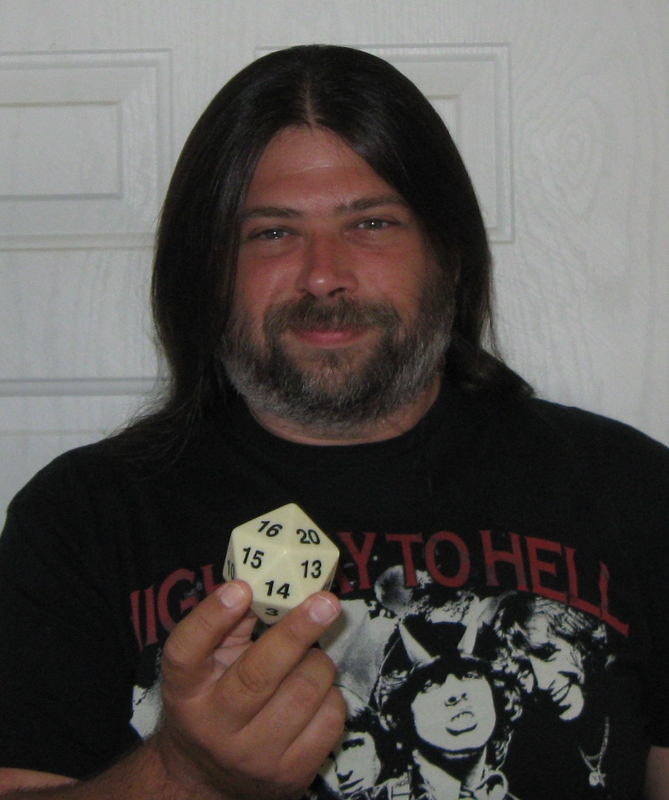 When the player rolls their Hit Dice they begin adding a bonus number of Hit Points to their final total. For example, 10th-level wizards receive +2 to their Hit Dice. The same wizard above would roll 9d4+11 (+9 for CON and +2 for 10th level). The XP Formula is something I created to incentivize moving the plot forward. This is derived from the number of players because large groups sometimes don't allow every player to have equal time - I played a game with 7 other PCs for years and some weeks felt like I accomplished nothing because my character didn't have "screen time" - and on top of this, the formula also allows the GM to track how fast they're progressing their own game. With only 2 or 3 players, if you're not progressing through encounters fast enough than it allows you to self-correct and push the players to act more. Additionally, a GM might decide they've bloated their game with too many incidental encounters and now they can look at the formula and decide to cut the fat from their role-playing banquet. Leveling up when resting comes directly from Dungeon World and rolling Hit Dice to determine your new Hit Point total is another mechanic from Stars Without Number. Something a friend told me years ago was that he hated Armor Class because it doesn't make sense in a realistic manner. Thick heavy armor wouldn't make you more difficult to hit, in fact the opposite, and it would be worn to lessen the damage when you do get hit. 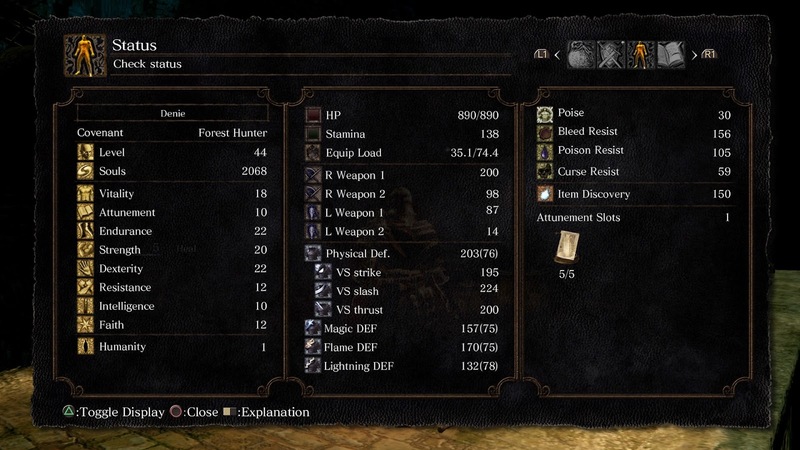 Something that Dark Souls doesn't always do very well, but it does follow the idea that heavy armor slows you down. Armor is only a marginally good thing to have, especially if your character is kitted out for speed. This is why you see so many people play Dark Souls wearing little to no armor whatsoever. A lot of armors give different benefits however. Some provide bonuses against magic damage or poisons, while doing next to nothing for physical damage. By comparison, armor in Dungeon & Dragons just gives a static bonus to your Armor Class. Combat in Dark Souls is pretty straightforward, but still has a lot of depth. When confronted with an enemy's attack you can choose to block, dodge, or parry. Blocking is pretty easy, and is the default method of handling most attacks. You get hit and your shield or weapon takes some of the damage off. Dodging requires a little player skill because you have to dodge away from the attack, and that's not always in the direction you might expect it to be. A successful dodge avoids all damage, but failure means you get hit and more often than not your armor only takes off a little amount of damage. Parrying negates the attack completely, but can only be performed on certain attacks and is difficult to pull off until you "git gud." If basic combat in D&D is a question of blocking, dodging, or parrying then I think traditional Armor Class would have to go away. Armor would continue to be rated as light, medium, or heavy in order to see if/how movement is affected but would do nothing to evade being hit. In fact, the heaviest armors would make it quite easy to be hit. But armor would negate some amount of damage based on its weight. Here's my game theory ramblings now. By reducing the die type of damage dice you effectively hobble the damage coming in and still keep it relatively random. Light armor would reduce damage by one point, medium armor would reduce the damage dice by one size dice (i.e. a d8 becomes a d6), and heavy armor would reduce the size of damage dice twice. An attack inflicting 1d10 damage normally would do 1d10-1 against an opponent wearing light armor, 1d8 against medium armor, and 1d6 against heavy armor. If an attack does multiple dice of damage then it could lose dice once being reduce to d4s but no damage could be reduced below 1d4. Shields would act like medium armor, but actively blocking with one would require a save or else you can't do anything else this round like attacking or drinking a potion or casting a spell. In other words, the force of the attack staggered you momentarily and you have to wait until next round to recover. Dodging would be a Dexterity-based roll against the opponent's attack roll, and maybe the size of the weapon would act as a modifier. Small weapons are easy to dodge, large weapons are harder to dodge. A successful dodge would negate damage and set you up to act first in the next round. I don't think I've ever seen good rules for parrying, and in Dark Souls a successful parry riposte can be a devastating attack. Parrying would have to be an attack roll against the opponent's attack roll, and of course could only be performed against a traditional weapon like a sword, ineffective against claws or bites or anything weird or unusual. A successful parry would give you an opportunity to attack and your opponent gets no ability to react, which means some opponents could do it to you too. I'll have to think some more about this. Saving Throws are used to evade some immediate danger or avoid some perilous hazard. If you need to know whether or not the scorpion’s poison overwhelms you, or if you can dive away from a Fireball spell, you make a saving throw. The GM will tell you when you should be making one. In general, Saving Throws apply as reactions to events that are happening, and are not used to overcome obstacles that need patience or applied knowledge. In order to succeed at a Saving Throw, the player rolls 1d20 and adds their character's relevant Ability. Strength for muscle or power saves. Dexterity for speed, reflexive, or agility saves. Constitution for resistance or endurance saves. Intelligence for thinking fast saves. Wisdom for willpower or concentration saves. Charisma for personality or charm saves. Rolling 20 or above indicates success and that the danger is avoided or the action goes as planned. When failure happens, the GM will narrate the outcome of the failed Saving Throw describing how the characters are affected. A GM never rolls dice to resolve NPC or monster actions, or negative elements of the environment such as traps - if they involve a PC, the player rolls. Otherwise the GM will make a swift and fair judgement call that moves the story forward and abides by the logic of the unfolding fiction. Skill checks determine whether your character succeeds at a field of expertise. Failure at the roll means that your character either botched it outright, succeeded in a way that was unhelpful, or was foiled by some unexpected outside influence. The GM will describe the results of failure. To make a skill check, the player rolls 2d6 and adds his character’s relevant Skill level and Ability modifier. If the total equals or exceeds 10, the check is a success. Awkward circumstances or bad tools might apply penalties, though usually not more than -1 or -2. By the same token, exceptionally good equipment or a favorable situation might grant bonuses of up to +2 to the roll, or even more if the stars align perfectly. If you lack even level 0 in the relevant skill, you suffer a -2 penalty to your roll. The relevant skill and attribute modifier will usually be obvious in the situation; attempting to bluff a lone bandit would involve Deception and Charisma, while trying to roll underneath the falling bars of a portcullis would rely on Acrobatics and Dexterity. When in doubt, the GM will tell you what to apply. If a character needs to overcome an obstacle that isn't covered by a Skill check or a Saving Throw, then the GM will ask for an Ability Check. This works exactly like a Skill check, but the character only adds a relevant Ability modifier, decided by the GM based on circumstances. There is a gradual level of difficulty associated with each of these checks. Saving Throws are easy to make, most players are going to succeed at these more than 50% of the time. Saving Throws are always reactions, and failure always leads to injury or harm. Skill checks are a little more difficult, they require the character to be a little specialized in an area before they can be attempted and most skill checks start with less than 50% chance of success. However, a truly specialized character with a +3 ability modifier and a maximized skill level will succeed at a skill check 99% of the time. Skill checks are always actions. Ability checks are the most difficult as they almost always only succeed with less than 50% chance of success. Ability checks can be either reactions or actions, but as a rule of thumb failure does not injure or harm the character. The Saving Throw mechanic is taken from the Black Hack, and skill checks and skill levels were inspired by Stars Without Number. Starting characters can speak their native language, and they receive additional Languages based on their INT score. When characters start learning a Language, they add points to it as if it were an ability score modifier. Every time a Language you don't know is spoken and you wish to interact with the speaker, roll 2d6 and add your WIS plus the Language number. On a 12+ you understand what was said and can communicate successfully. On a 10-11, you can choose to understand essentially what was said but are unable to communicate, or you can't understand them but your point is made successfully. On a 9 or less, you misinterpret what was said and you sound like an idiot. Whenever you roll a 12 or higher, you add 1 point to the Language - you cannot add more than one point per day. After the Language has received 5 points, you've learned the Language and no longer need to roll in order to be understood. Having at least one point in a Language means you can understand basic and simple ideas like "where is food?" and "can I sleep here?" but complex ideas like "can you help me scout this mountain?" or "let me show you how we should ambush those bastards in the valley!" or "don't kill him, we need to interogate him!" will require a roll. Almost every Language has a Literacy, and every Literacy is different with some being more complex than others. Some starting characters receive Literacy in their native language, and some classes begin with multiple Literacies. To learn a Literacy your character must invest a considerable period of time, and you must track the time spent doing so. Most Literacies take 3000 hours to learn, assuming you're learning from books. Having a tutor can cut this time in half to 1500 hours, and having a skilled tutor can cut this time in half twice, or 750 hours. A character can't spend more than 8 hours a day learning a Literacy, any time tracked beyond that is wasted. A skilled tutor is any character who knows the Literacy and has a combined INT, WIS, and CHA modifier equal to +3 or higher. Additionally, a character with a combined INT and WIS of +3 or higher will cut the time required to learn in half again! When you try to translate written text without any training, make an Investigation+INT skill check. 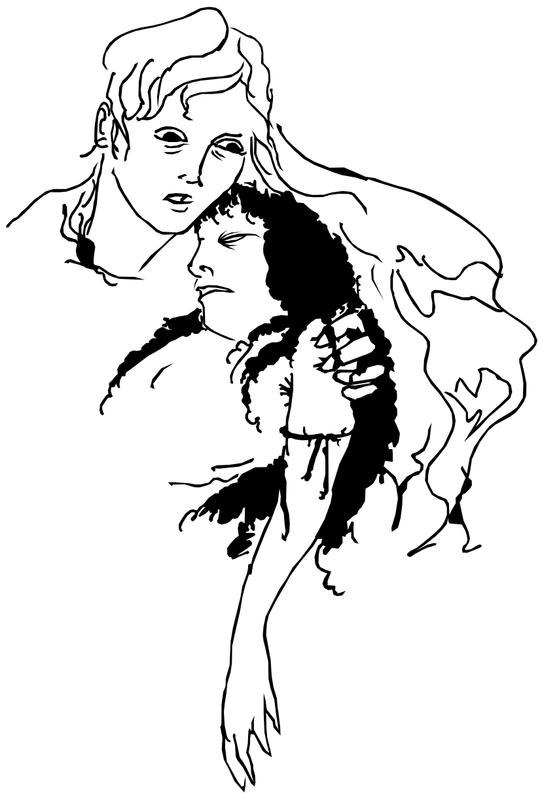 With a successful roll, you will understand the basic message of the script though nuances may be lost. A failure could mean that you miss something crucial in the translation, your translation is time-consuming and delays something important, or you can pick up a word or two but simply have no clue what it really says, GM's choice. I strive for simplification in most of my rules. I'm not sure if I always achieve it. In this case, I think learning a language should be difficult and have a barrier, it shouldn't just be something you add to the character because you leveled up. At the same time, I want to make it easy to communicate in simple terms because nobody likes funneling conversations through a translator, or relying upon magic all of the time. A player who spends time having their character try to learn a language should be rewarded for their effort. Anyone who has played Apocalypse World will recognize the success-fail states of the dice roll above as originating from there. This is an excerpt from the combat rules page of my rulebook. One of my 'things' is that the GM keeps a deck of playing cards in front of them, this gets used for all sorts of things. When combat starts, the PCs act before NPCs. If two PCs are fighting each other, then the one with fewer Hit Points acts first - if they're tied then their actions are simultaneous. In some combat scenarios, the GM may want to give the PCs a challenging foe who acts before them, or a large group of enemies whose actions happen throughout the round. For these, use a shuffled deck of cards. Each NPC combatant gets a single card draw, and each PC draws a number of cards equal to 1 plus their DEX, minimum of 1 card. Once everyone has their cards, the GM counts down using the card values starting with Ace then King, Queen, Jack, 10, and so on. For tied cards, PC actions happen before NPC actions. Players still only act once, but high-DEX characters get more chances to act earlier in the round. Combat is measured in rounds, each round being roughly 6 seconds long. During a round, each character takes a turn fulfilling some sort of action. When all characters involved have attempted an action, the round ends, and if the conflict needs to continue then a new round begins. During their turn, a character may move and commit to an action. Actions can include making an attack, pulling gear from a pocket and using it, casting a spell, activating a magic item, or some other activity that requires attention and care. Some actions are called Free Actions, and these can be performed at any time, usually in reaction to something else that is happening. A player can also choose to Hold their action to act later in a round. A player may hold their action until the end of the round, effectively acting last, or they can use it to interrupt an NPC's action, or to act in tandem with another player. A player cannot interrupt another PC's action, they happen simultaneously or based on who has fewer Hit Points. To attack, the player rolls 1d20 and adds their Attack score and the attribute bonus associated with the weapon being used, either STR or DEX unless the weapon is magical. If the total is equal or greater than the target's Armor, the attack hits. Circumstances can apply other penalties or bonuses to the Attack roll. If an attack hits, the player then rolls the damage dice associated with the weapon and adds the appropriate attribute bonus. This damage is then subtracted from the victim's Hit Points. NPCs reduced to zero Hit Points are either dead or mortally wounded. Hit Point damage represents the wearing down of a target’s stamina and energy. Only the last handful of hit points represents an injury that does serious physical damage. Being attacked is similar to making an attack. The player rolls 1d20 and adds their Armor score. Opponents always have their own Attack score and the player needs to roll equal to or higher than their opponent's Attack score to evade, dodge, or block the attack. A player may also choose to Defend as their action. If they do this, their Armor score is +4 until the next round. When a PC gets hit, they take damage just like when they make an attack. When a PC is reduced to zero Hit Points they fall unconscious and must make a Constitution saving throw or die. Similarly, if a PC suffers more than half their total Hit Points in a single blow they must make a Constitution saving throw or die. The PCs have the potential to make a Critical hit when they attack. This happens in one of two ways: when a player rolls a result 10 points higher than what they needed to hit with their Attack roll, and when a player rolls a 20 on their Attack roll - the only exception being that when a player needs to roll a 20 to hit, no Critical is possible. Detect Magic: Wizards can detect the presence of magic simply by concentrating and looking at an object. In game terms, this costs an action and the wizard can move no faster than a slow walk while doing it, but it costs no MP. If a wizard touches an object that is magical or a person under the effect of a spell, the wizard automatically and instantly detects the magic without needing to concentrate or look for it. This detection only allows the wizard to sense the presence of magic, the wizard learns nothing about the effects or spells used unless they spend time trying to identify the magic. Identify Magic: A wizard can discern the properties of a magical item by spending six hours in careful meditation with the object. This process allows the wizard to determine all of the magical properties of a single magic item, including how to activate those functions (if appropriate), how many uses of magic remain, and what sorts of spells were used in the item's construction. The wizard does not need to spend MP, nor do they need to be secluded; as long as the wizard is allowed to handle the item without interruption or distraction, it only takes time. A wizard can also identify magic on a creature that is under a spell, but most living things will not sit still to be examined for six hours without some form of restraint. I like the idea of having a wizard that could specialize in a school of magic and not be required to lose access to certain divination spells which seem like general utility wizard abilities. Also, giving wizards special magic-related abilities that they can perform 'at will' means that I could potentially run a game where wizards start with no spells. The reference to MP? I'm using Magic Points to cast arcane spells, which is an idea taken from the psionics system in Stars Without Number. Clerics can Turn wild beasts and unholy creatures by holding their deity's holy symbol aloft and commanding the creatures back. At any time the cleric may use an action to make a Turning attempt. Clerics can attempt to Turn any creature with the Animal, Un-Dead, or Demon trait. This Turning check uses 1d20 and adds the cleric's Hit Dice and WIS modifier - unlike a Spell check, this roll doesn't suffer penalties for wearing armor. The base roll needed is 8 or higher to turn animals, 10 or higher to turn un-dead, and a 12 or higher to turn demons. The Hit Dice of the target is added to the number needed to successfully Turn them. For example, a Demon with 3 Hit Dice will only be Turned on a roll of 15 or higher. My take on simplifying a cleric's Turning ability. Also, I would point out that being able to turn animals is influenced by Dungeon Crawl Classics, but seems like something priestly characters should have always been able to do. Warriors don't have an Attack score, instead Warriors have a Feat die. The Feat die is an extra dice that is rolled when a warrior attacks, the result of the Feat die is added to the Warrior's attack roll, in this way the Feat die is a rollable Attack score. The number of sides on the Feat die increases as the warrior levels up. Prior to any attack roll, a warrior can declare a Feat. This Feat is a dramatic combat maneuver within the scope of the current fight. The Feat does not increase damage but can have some narrative or strategic effect. For example, a warrior may try to disarm an enemy with his next attack, trip an opponent, slide down a bannister and crash his shield into three opponents at the bottom, temporarily blind an opponent, and so on. The warrior’s Feat die determines the success of such a maneuver. If the Feat die is a 3 or higher, and the attack hits, the Feat succeeds. If the Feat die is a 2 or less, or the overall attack fails, the Feat fails as well. It is possible for an attack to hit but the Feat fails, in this case the warrior still inflicts damage for a successful attack. The Feat die does not increase in size beyond 10th level, and never receives Advantage or Disadvantage. Dwarves have a d3 Feat die they use when fighting. This acts exactly like a Warrior's Feat die but is different and separate from a Warrior's Feat die, a Dwarven Warrior would roll both and use the better result of the two. Unlike the Warrior Feat die, the Dwarven Feat die never increases in size. 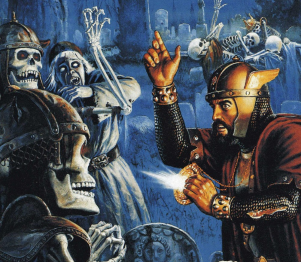 This mechanic originated as the Mighty Deed Die from Dungeon Crawl Classics. I really love the simplicity of giving fighters the ability to use special combat maneuvers without having to fiddle with a list of feats. I always despised that characters might have to specialize to disarm somebody, and then might never get the opportunity to disarm someone. Being able to execute a maneuver in the heat of the moment is so much more heroic. And fun! 1) Roll 3d6 and record the sum result for each Ability in order: Strength, Dexterity, Constitution, Intelligence, Wisdom, and finally Charisma. If none of your rolls is 13 or higher, then raise your lowest roll to 13. You may swap two Ability scores. Notate your Ability score modifiers under STR, DEX, CON, INT, WIS, and CHA. Then generate your Luck score (2 + your highest Ability score modifier) and your Load stat (5 + STR / 10 + STR). 2) Select a race and write down any special abilities your character possesses. 3) Select a background and notate any abilities and learned skills from your chosen background (skills start at "0"). 4) Select a class and write down any abilities inherent to the class. 5) Select a class kit. Notate the special kit ability amongst your class abilities, any equipment your kit comes with, and add skill levels where appropriate (skills start at "0" and receiving two of the same skill during character creation increases it to 1). 6) Generate your starting Hit Points (HP) by rolling your class Hit Dice and adding your CON modifier (do not decrease your HP rolled if the CON modifier is a negative). 7) Purchase additional equipment using your starting silver, if desired. I want the chapter structure of my book to mirror the Holmes Basic Rules, despite the fact that I'm deviating from many of the B/X concepts. Still, starting my book with a good old character creation checklist seems like the best way to dip players' toes into the rules. This is how the checklist currently reads in the pdf. Kosranon is my setting book. That's not the title but it's what I've labeled it as on my hard drive. I may be putting all of my energy into OSRenstein right now but I want to publish this book. It's going through a lot of revisions as I build it, right now I only have 8 pages written and a large hex map which I think I should scale down. However, there's lots of notes on my blog here, but I consider those 'rough draft' ideas and a lot of it has been revised or will be altered in the final book. Hexvouna is my megadungeon. 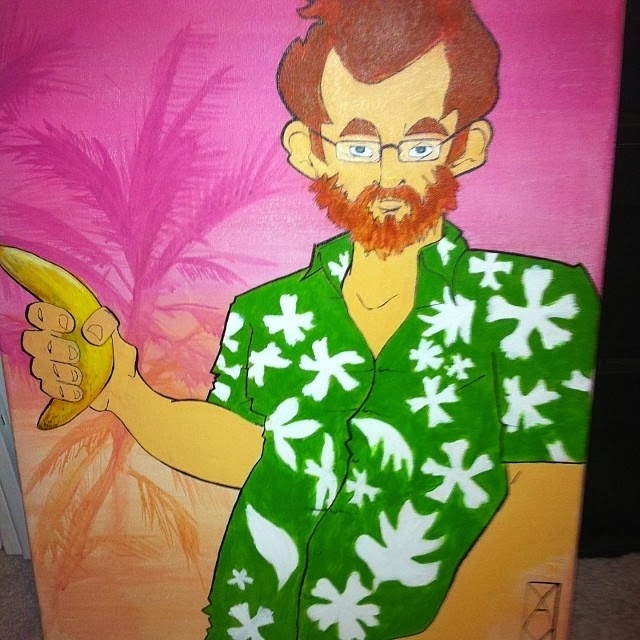 This thing will likely never be finished! I have no idea how much I have written as I have multiple notebooks, several emails I sent to myself (and emails between Arnold K and myself), and a few posts here and there about the thing. It's been in my brain ever since I was GMing the Dwimmermount megadungeon at the time and kept thinking it didn't make sense that Dwimmermount didn't have a central staircase that connected most of the levels. Then I saw this post by Dyson's Logos. My next step for Hexvouna is likely to track everything that I've written down and start organizing it into a cohesive collection of information, then editing and fleshing it out. I would like to commission a few artists, and I definitely need someone who's good at layout and design to help me out once I bring Kosranon to completion, but at the moment I'm just writing. I don't want to start spending money on art and publishing resources until I have a nearly complete book. My players and I want to go back to playing D&D, and I had the idea of trying to convert Stars Without Number's skill system into something I could use for a fantasy setting. My recent forays in dissecting how magic could work in a non-Vancian way got me thinking about Kevin Crawford's two different systems for psionics in Stars Without Number. Now, I also like ideas that are presented in the Black Hack and Dungeon Crawl Classics and I grew up playing 2nd edition ... I have all of these ideas rattling around in my head, and in the past I have photocopied pages from different rulebooks to use for my weird Frankensteined rule sets, but this time I'm putting together a pdf that I can send my players and say "This is the rulebook!" I have an urge to make it generically fantasy and release it for free publicly, calling it OSRenstein! But right now I'm working on it as a private rulebook for my own table, nobody else's eyes on it, and I'm working in a lot of setting-specific rules, like including the oukek as a playable race. I’ve talked about this before but I started thinking about it again in relation to my recent thoughts about Vancian magic. 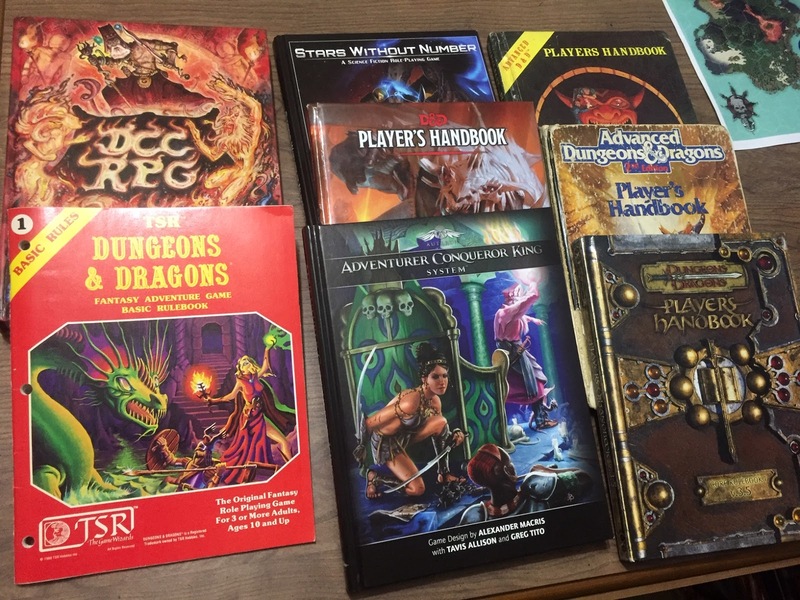 Too much of D&D has been lifted from a monotheistic (Christian) cultural template. Clerics who worship a pantheon of deities might dedicate themselves to one deity, but they would still be worshiping and actin on behalf of the entire pantheon. Real-world pantheonistic deities had temples (or shrines) that served specific purposes, so shouldn’t their temples also serve societal functions? Calling on one deity would be like using a particular sphere of magic, but you'd have access to all of the pantheons' granted abilities. Highly specialized pantheonistic clerics fit within the 3rd edition rule structure, but it makes more sense that most clerics wouldn't be highly specialized. Singular deities, or monotheistic religions, would be rogue and suspect. At the very least, weaker. Another idea: Where are the commandments? Clerics of a pantheon would have rules they need to follow. This is usually where alignment comes in, but I often find alignment to be nebulous, intangible, and easily argued into submission. I've always felt that clerics need a philosophy to live by if they don't have commandments, guidelines for their behavior that are separate from alignment. But what about a deity that says, explicitly, "Thou shalt not kill, under no circumstances?" That cleric would be a pacifist, and the society they came from wouldn't have capital punishment. Let's take it a step further and have a deity that commands "Thou shalt not kill humans, under no circumstances?" That cleric would have no problem killing dwarves and elves and orcs and so on, but the culture they were raised in is most assuredly racist. All clerics should be able to bless and consecrate and heal, and able to purify food and drink. A single cleric would make a community prosperous. Clerics should either be incredibly rare people, or else all of society would revolve around them being the most important citizens - when the gods are REAL then you basically would live in a theocracy! Each community might not have a very powerful cleric, but visiting bishops would tour towns and cities where worshipers reside and they would visit to heal limbs, cure diseases, and ensure the prosperity of their followers. Being a cleric in such a world would be like civil service. For the last two years I've been kickstarting board games with the rational that they're coming with a ton of miniatures and if the game is bad then it's still worth it. Except I funded too many of them, plus I went Frogdog on the latest Kingdom Death and that helped to kill my wallet once and for all. I spent a decent grand kickstarting board games and game books just in 2018, and that's not something I'm proud of. I don't have time to play anything anymore either. I started this year with the idea that I was no longer going to help fund anything on kickstarter, and yet I've already broken that resolution by funding Silent Titans, Into the Wyrd and Wild, and now Cha'alt. Cha'alt is the latest supplement by Venger Satanis, a native to my part of the country - his house is only 10 minutes away from mine - and it looks just as crazy and over the top as anything else he's written. He's had sixteen previous kickstarter projects and they all hit their goals, and were all delivered on time (I think the old school map was delayed but only due to a printing error). Cha'alt still has two weeks left and hasn't hit its funding goal yet, but I think this is the first time I've seen one of his projects with such a high goal set. It's also the first time he's tried to make a hardcover print run. And now, I can't fund anything else for the rest of the year... unless Jacob Hurst creates a campaign to fund his next swordfish island book, but then that's it! What do I dislike about Vancian magic? What do my players dislike about Vancian magic? Solution: get rid of memorization. What do I like about magic? When a wizard, in DCC, rolls a 20 and gets an uber-result or a bonus effect. What do my players like about magic? When the spell does what they want it to do. Solution: make the spells simple affairs that have the potential to make uber-results. The idea I have now is to give wizards Magic Points that they use to cast spells. Wizards add their best bonus between Intelligence and Constitution to their Magic Point total at each level. A Magic-User with +1 to int and +2 to con gets +2 Magic Points (total of 3mp at 1st level, 6mp at 2nd level, 9mp at 3rd level, 13mp at 4th level, etc.) That might be too fiddly, but it's my starting point. Spells also cost an equal amount to cast so a Level 1 spell costs 1 Magic Point to cast. There is no roll and no memorization, if the Magic-User knows the spell then they cast it. Magic Points recover completely after resting/sleeping for 8 hours. Magic Points can probably be recovered through meditation, magic items, or just having reduced costs for specific conditions. Some sort of crystal or plant, maybe both, can help a wizard recover MP faster. Some things, like monsters or cursed items, would drain MP! Spellburn: if a wizard "burns" their Constitution they can create an uber-effect with a spell. Burned Con points recover at 1 per week, magical healing doesn't increase the amount healed or reduce the time needed to heal. Maybe a purple lotus flower could recover burnt Con. Map spell progression to leveling, a 3rd-level wizard can cast 3rd-level spells, but do they know the spell?! Specialists get reduced casting costs or can create bonus effects easier with their specialized school. This all assumes a 10-level character progression. Having written this all out and looking at it side by side, I'm leaning toward comparing the different versions of the same spells across multiple systems (AD&D, Labyrinth Lord, LotFP, DCC, plus anything else I own) and seeing if I can distill the spell down to a simple action with little need for adjudicating effects. I've been thinking a lot about how magic works in D&D and how it could be simpler. My players tend to be casual and don't read the rulebooks backward and forwards. Only one person I play with owns a Player's Handbook, and the rest of them are at the table for the ride I'm giving them. As a result, none of them have ever played a wizard or cleric. "Seems like a lot of work." Just what I've heard from them. Meanwhile, I read blog after blog of OSR enthusiasts inventing rules for streamlining combat or generating random encounters, but nothing for just giving players a simplified wizard character with little to no work on their part. Enter Stars Without Number. The original rules have a very streamlined and elegantly simple way for psychic characters to progress through their power. The revised edition expands on this system, adding common abilities attached to the psychic's skill level with the area of psychic discipline. Magic is divided up into affinities, or paths, and a magic-user studies an affinity in order to cast spells from it. Magic-Users have Magic Points equal to their Constitution score plus their Intelligence modifier. 1st-level Spells cost 9 Magic Points to cast at 1st-level. At each successive level, they cost 1 less Magic Point to cast. All spell levels act like this, thus a 2nd-level Magic-User casts 2nd-level spells with 9 Magic Points and 1st-level spells with 8 Magic Points. Specialists always reduce the cost to cast their spells by 1 Magic Point. Sleeping for 8 hours restores all Magic Points. All Magic-Users can Detect Magic. They need to concentrate to see magical auras, which means moving slowly and taking no other actions. When a Magic-User touches an object, they instantly know whether it is magical or not, regardless of whether they're concentrating or not. I'm not sure if this really works, I'm going to keep thinking about this though.